Edison light bulbs have become very popular as a versatile decoration for anyone who’s into adding a touch of vintage glow in their home. These bulbs work differently compared to modern ones as their filament is looser and much more visible. To create an even more impressive visual effect, Edison bulbs are coiled in a wide range of styles, perfect for shade-free displaying. There are lots of applications when it comes to decorating with these bulbs. They fit well in rustic environments and those who prefer an industrial design should definitely try incorporating them. 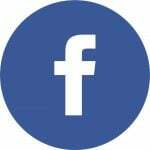 Another important aspect that’s worth mentioning about the Edison light bulb is that its energy efficiency is comparable to modern LED light solutions. This means you can basically obtain the best of both worlds – a cool vintage-style look without sacrificing your energy bill. In this article, we’ll analyze the various decorating methods proven to enhance any place with the stylish glow of Edison light bulbs. Before you try your hand at decorating with this type of light bulb, it’s important to understand how to use the features of the glowing filament to your advantage. 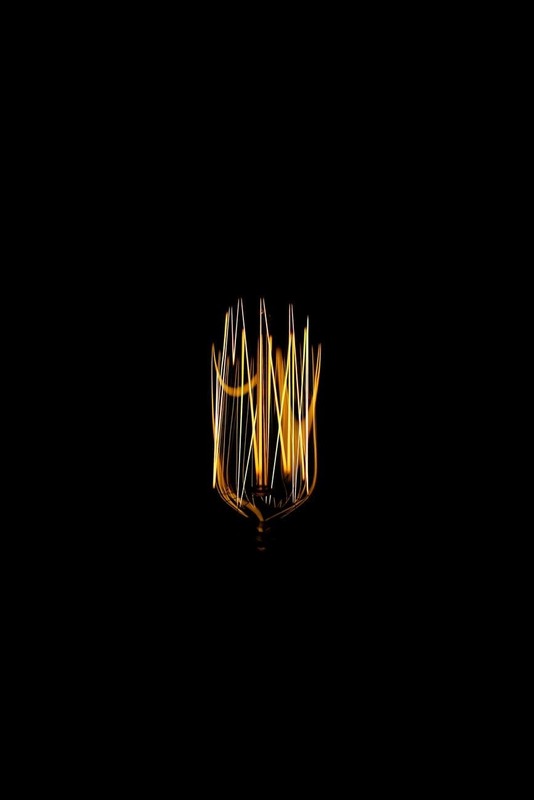 Hiding the lights behind a lampshade is a bad idea as filament casts a pleasant, squiggly glow that demands beautiful displaying. Instead of that, use industrial pendants like this one if you want to hang them from the ceiling. More on that below. For a more retro-style effect, you should try to keep the Edison bulbs dimmed as this results in a warmer light that works nicely to emphasize the electric visuals. When it comes to Edison light bulbs, it’s recommended to check the color temperature before buying them to ensure they will look just as expected. An authentic Edison bulb should give off that golden light that has its own decorative charm. While most light bulbs offer a color temperature between 2700 and 6500 Kelvins, Edison bulbs go much lower (around 200 Kelvins) to deliver that iconic vintage look. As you’ve probably expected from their color temperature rating, Edison light bulbs aren’t really designed to be used for classic tasks that require lighting such as reading. They work ideally as ambient lights to accentuate the surroundings and tinge the atmosphere with their relaxing glow. 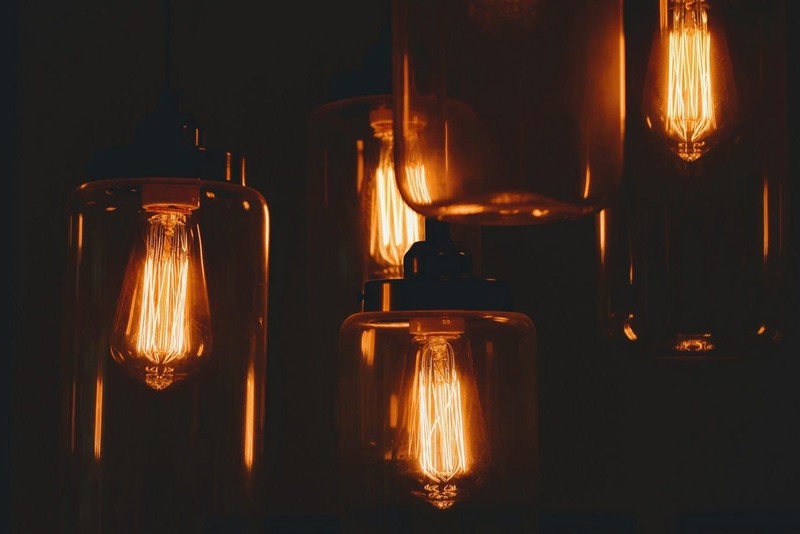 For this reason, you should consider using Edison bulbs for night time lighting as the warmth generated by them can help you maintain healthy sleep patterns. A cool idea for using an Edison light bulb is to decorate your desk with a dimmable industrial-style lamp. One great example is this vintage model from Amazon. It can add some great personality in multiple settings. Fans of steampunk old school styles will definitely appreciate the look and features of this Edison table lamp. Hanging bare bulb pendants would work great for enhancing the atmosphere of your special event or to make your room feel cozier. You can find various styles of bulb shapes to suit your preferences. A good example is this pear-shaped Edison bulb pendant from Amazon. It’s simple to install and fully dimmable. This is the kind of inexpensive decoration that can add a superb accent light effect to any space. DIY headboards are very popular nowadays as they allow you to add your favorite items and turn your bedroom into a sacred sanctuary. Making a headboard is a fairly easy and inexpensive project. if you need a decorating idea, why not try placing some stylish Edison light bulbs on it? Your bedroom will look cozier and make you feel more relaxed than ever. Speaking of relaxation, the bedroom isn’t the only place that could use a quick enhancement by adding Edison bulbs. 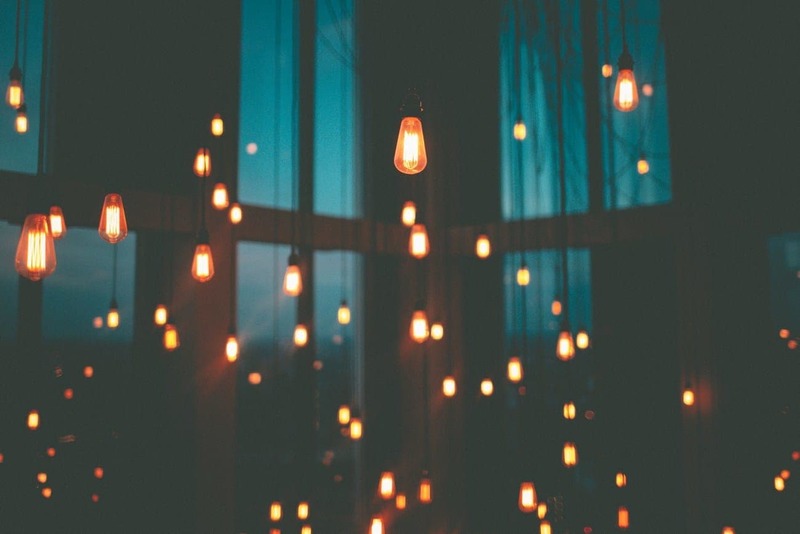 You can discover lots of great spots in your home that can use some light decorations. 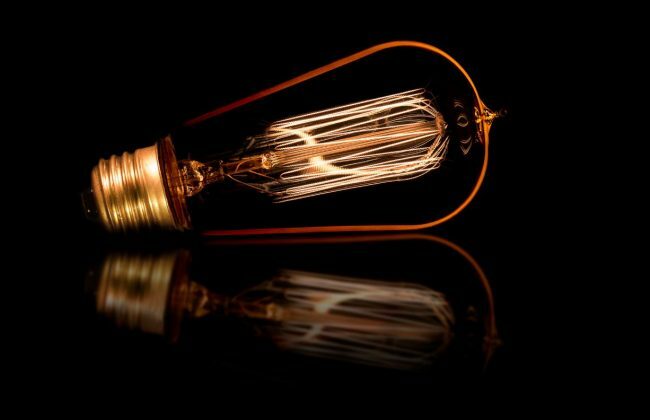 This is one of the main strengths of this type of light bulb as it’s incredibly versatile. While this bulb isn’t designed to go well with reading or other lighting purposes, your lounge area will benefit from its ambient lighting potential. For this reason, it’s recommended to place the Edison bulbs lower down as opposed to other lighting fixtures. This will work nicely to simulate the cozy atmosphere of a fireplace. If you want to create a truly stunning effect at a party or wedding, you can make a bold backdrop full of bright Edison bulbs. This can take a bit of work as you will need to change the usual string lights with Edison bulbs but the result will be worth it. You will simply need a large wall to hang your Edison bulb backdrop. Many people like the beauty of Edison light bulbs when used indoors, but you can successfully rely on their atmospheric potential even when hosting an outdoor event. Dressing up your outdoor space in a more steampunk style will certainly add to the overall enjoyment of your guests. These bulbs are also recommended as a substitute for traditional holiday decorations if you prefer the warm Edison glow year-round. Here’s a great set of Edison bulbs from Amazon to enhance your patio with some retro lighting vibes. If you want something bigger, check these ones out. Many people looking to decorate their homes might prefer sticking to a single design style. The Edison light bulb is a decorating element that can integrate better with certain styles. 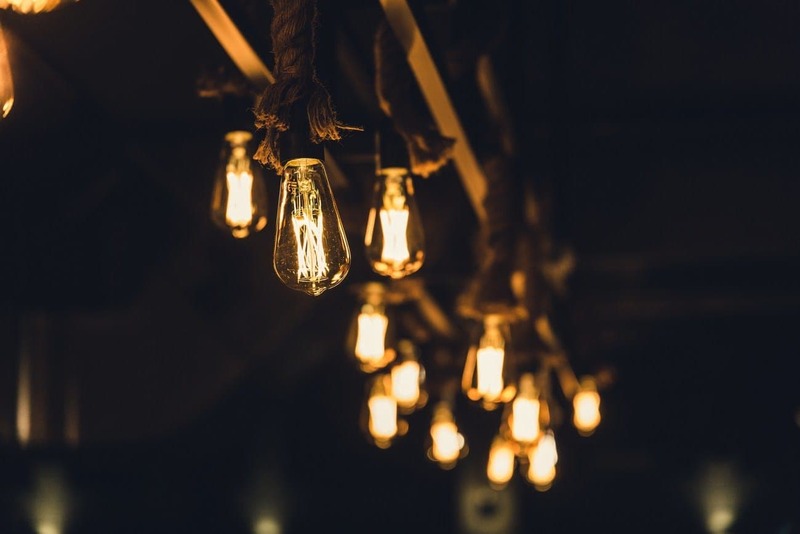 If you’re a fan of a more specific theme, you’ll be glad to know that the following styles can easily incorporate Edison light bulbs. Among metal structures and bare bricks, you should consider adding some cool Edison-style filament bulbs. They will fit well thanks to the usual exposed elements dominance of this style. As it relies on a varied range of Victorian-era elements, Edison light bulbs will feel perfectly at home when incorporated in this style. 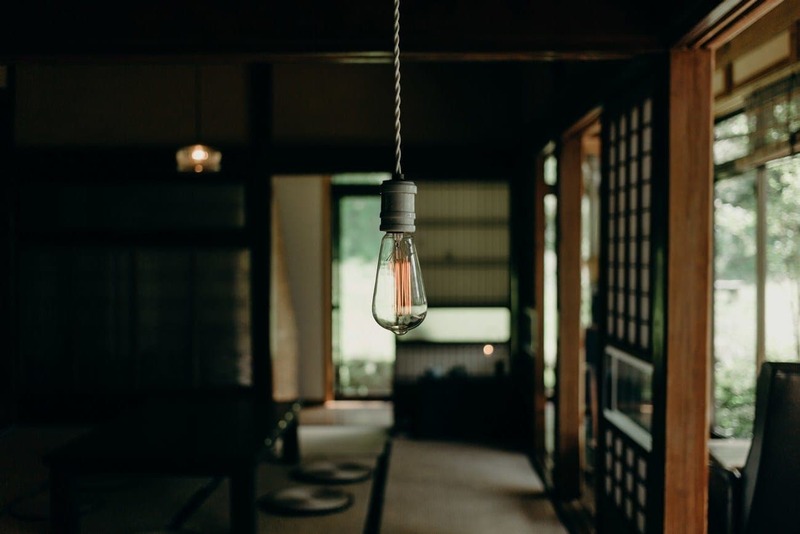 Those who enjoy a more minimalistic design, like the one found in the Scandinavian style, should consider adding a single bulb for a simple and relaxing enhancement. Given their antique look, it’s no surprise to find out that Edison light bulbs fit perfectly with a more conservative style. Traditional decorations can certainly include this filament type. The Gothic style focuses on contrasting grand lighting with dark surroundings. While it’s a bit more difficult to incorporate Edison light bulbs in this style, it’s definitely recommended as they can serve as a counter-act for the luxurious darkness of this theme. This wraps up our tips and advice on how to decorate using Edison lights. If you liked this guide we would really appreciate if you could share our content cause we are putting a lot of time and love into being as useful as we can to you, our reader. In these other guides, we teach you how to decorate in the beautiful style and how to remodel your bathroom smartly so be sure to check them out.